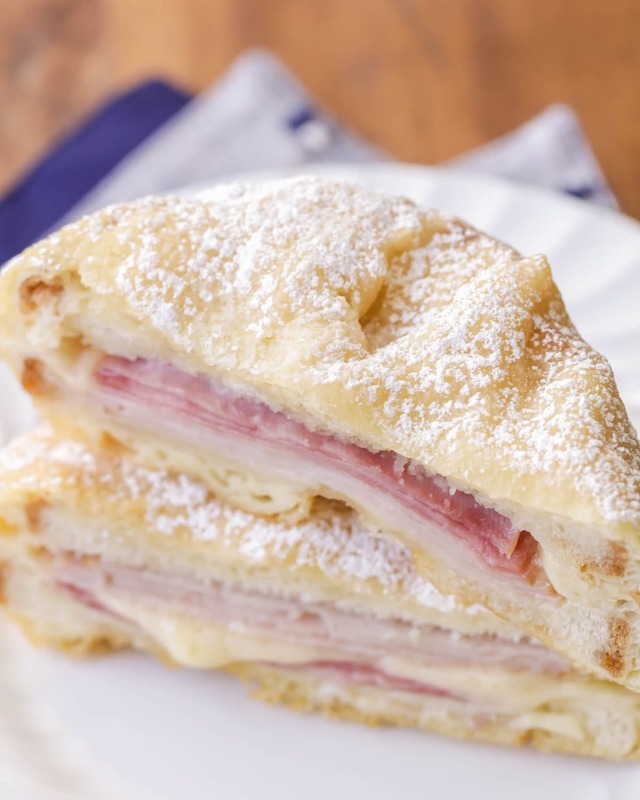 Copycat Disneyland’s Monte Cristo Sandwiches! Yummy swiss cheese, turkey, ham on white bread, fried & topped with powdered sugar making it an irresistible sweet and salty dish everyone loves. It wasn’t too long ago that I blogged about our trip to Disneyland in November. We love to go there as a family, and not only to enjoy the fun rides and atmosphere, but also to enjoy the food. We love trying all the different goodies they have there, and one of our favorites is the Monte Cristo Sandwich that you can get at Cafe Orleans and Blue Bayou in Disneyland. 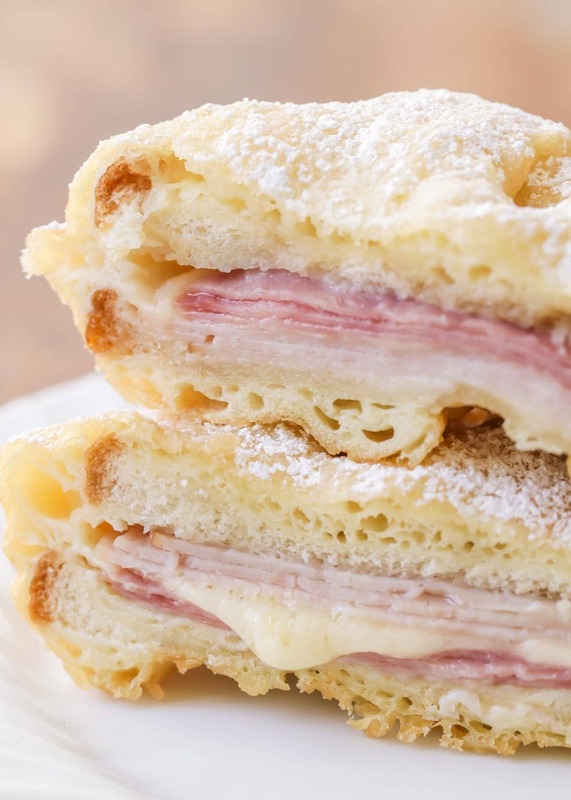 So, what is a Monte Cristo Sandwich? 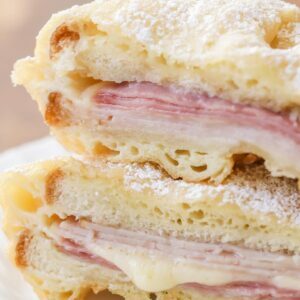 A Monte Cristo is a fried ham and cheese sandwich that is a variation of the French classic Croque Monsieur sandwich. It’s more savory than sweet but with the powdered sugar on top it does have a bit of sweetness that takes it to the next level. It’s often served with a raspberry sauce to enhance the sweetness. With or without the sauce, this sandwich is OUT OF THIS WORLD. It’s definitely on our “must-have” list when we visit Disney. And fortunately for you guys, they’re so easy to make! To make batter, sift together flour, baking powder and salt. In separate bowl, mix water and egg. Add egg mixture, blend thoroughly. Make sandwiches, placing 1 slice of cheese between 1 slice of turkey and 1 slice of ham. Cut sandwiches in half and put in a toothpick to hold the sandwich together. Dip in batter and fry in 360 degree oil until golden. Drain on paper towels. Remove toothpick and sprinkle with powdered sugar. Now, I must warn… it’s hard to eat more than 1 or 2 of these sandwiches because they are deep-fried, but they are so extremely good!! 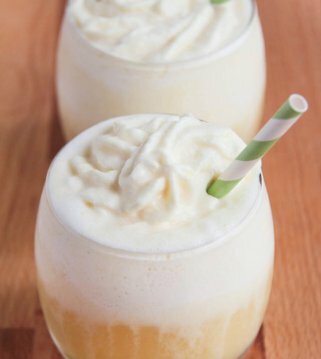 And what’s better than anything is that I found the BEST and EASIEST recipe for these guys, so we have them quite a bit and it always reminds us of our past trips to Disneyland. We haven’t really tried other variations of this recipe, but it would be easy to do. You can use different meats and cheese to change it up. At Cafe Orleans, they even serve an all cheese version which is so good and would be easy to do. Just layer several more slices of cheese instead of meat! These sandwiches sprinkled with some powdered sugar are heavenly, and I’m anxious for you to try them out… especially if you’re already a fan of the Disneyland goodies. 🙂 Let me know what you think if you give them a go. 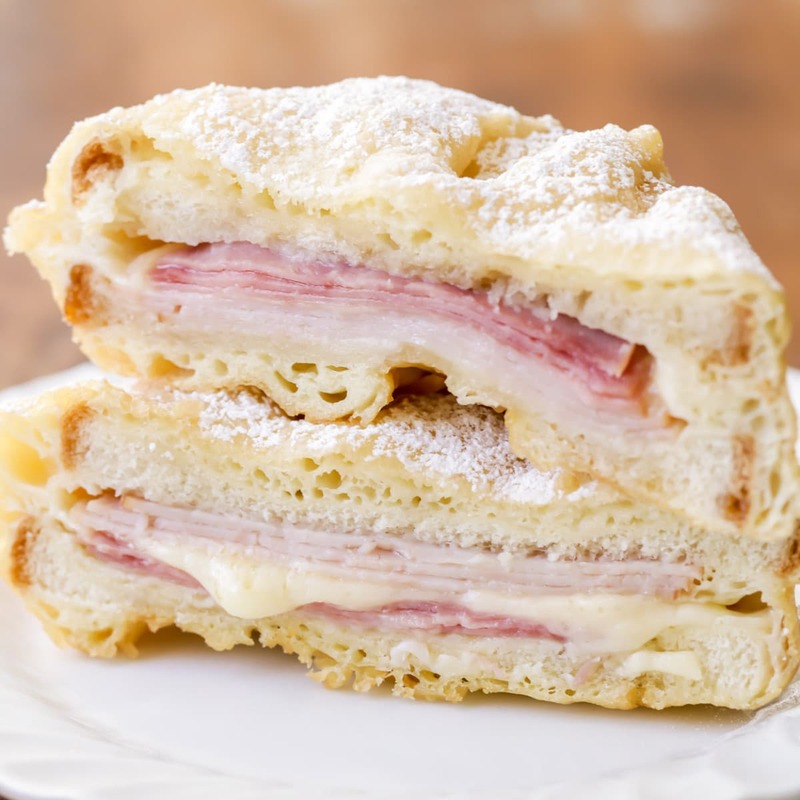 Copycat Disneyland’s Monte Cristo Sandwiches! Yummy swiss cheese, turkey, ham on white bread, fried & topped with powdered sugar! Did I miss the recipe? What batter do you use, etc? Is there a link for the recipe? Now that I am older my favorite part of disneyland is all of the different food 🙂 I haven’t had an annual pass in a few years.. not I am thinking I should change that! The monte cristo sandwich is a must when at disneyland and this sandwich just looks perfect! I love Monte Crisco Sandwhiches. They are so rich and yummy!! I’ve never made it myself, but I think I just might have to make some this week 🙂 Thanks for the recipe!! Just a little addition……the first time I had a Monte Cristo was at a now defunct chain restaurant and they served it with a little cup of seedless raspberry preserves for you to dunk the sandwich! Lunch and dessert in one! I have been wanting to try making these for years! I have to ask though, where at Disneyland do they sell them? I’ve never seent them there! They sell them at two places in New Orleans Square by Pirates…. one restaurant is the one inside Pirates called The Blue Bayou, and the other is the cafe right across the way… can’t think of the name at the moment. :/ They are so good!! I grew up eating these at my grandma’s house and they really are so delicious! She doesn’t fry them in oil though, just cooks them in a pan or on a griddle the way you would do French toast. Yum! My fiancé and I went to Disneyland in December after reading your post it was so much fun, we ordered the Monte Cristo Sandwich it was so good! I have been wanting to make it ever since! Thanks for the recipe! Thank you….. This is AMAZING. My wife loved it!! Mmmm, these look AMAZING! I have to try this. Are you kidding me?! We should not be able to make these at home! This is like one of my top 10 foods of all time. When we go to Disneyland this sandwich is a must. I’ve never met anyone else who’s loved it as much though. Brava! I am excited to try these. I tried making these once and they had a hard time staying together together while frying. If you are ever in the Cleveland, Ohio area the best one of these sandwiches I have had is at The Melt. UNBELIEVABLE! I loved the Monte Cristo Sandwiches at Disneyland, It was a must have for me. I am so glad to have come upon your recipe, Now I must try it. Let me know if you do try it out. I think you’ll love it! Your recipe is awesome 🙂 but just wanted to tell you and others that Disney happily shares its recipes. I’m not sure if they do it online but I know while dining in the Magic Kingdom a few years ago I asked for a recipe of what I was eating and within two minutes was handed a printout of recipes of the entire meal! Please tell me the nutrition facts are for all six sandwiches (or all 12 half’s) OR just a funny joke. I’m still gonna make them, cause YUM!, but those numbers are blowing my mind. I love that your’s is the only recipe that fry’s the sandwiches already sliced in half. That’s the original way! Only way 🙂 Thank you so much! This is such a fun sandwich to make for family and friends. Everyone loves it! The mess is soo worth it! I have always wanted to try these at Disneyland, but never have…now I know I’ve been missing out! I am so glad I can make them at home. the powdered sugar on these, gives a sweet & delicious taste! You will love the warmth and gooEyness of this sandwich. It kind of just melts in your mouth. 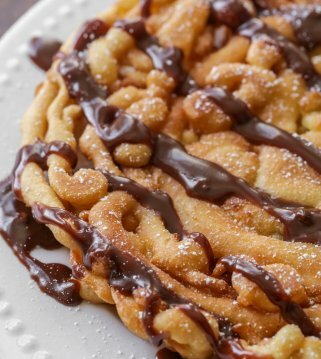 It has a little crust on it after its deep fRied with a dusting of powdered sugar.